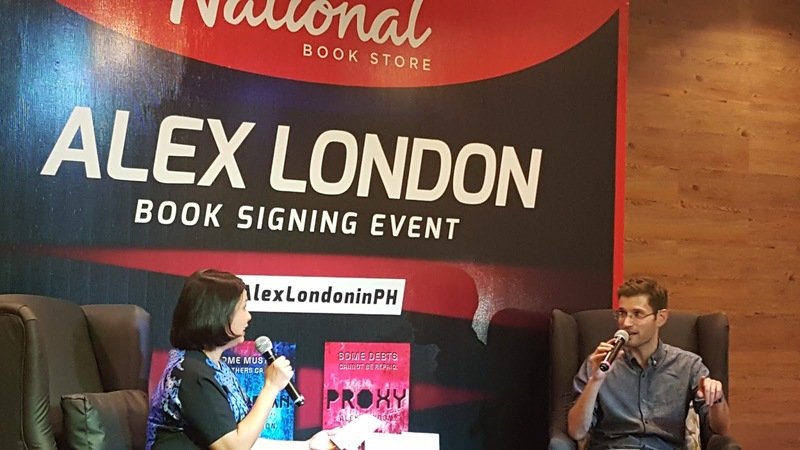 Alex London, the author of the famous duology Proxy and Guardian visited Manila for the second time. 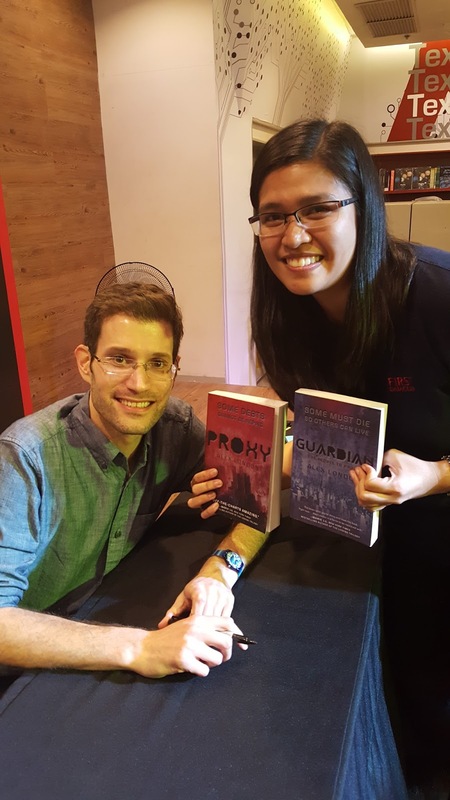 He was invited to teach in one of the International Schools in the Philippines and done this successful book signing event at the National Bookstore, Glorietta 1 Makati City, dated January 15, 2016. Alex London already had his first book signing in Manila last 2014. 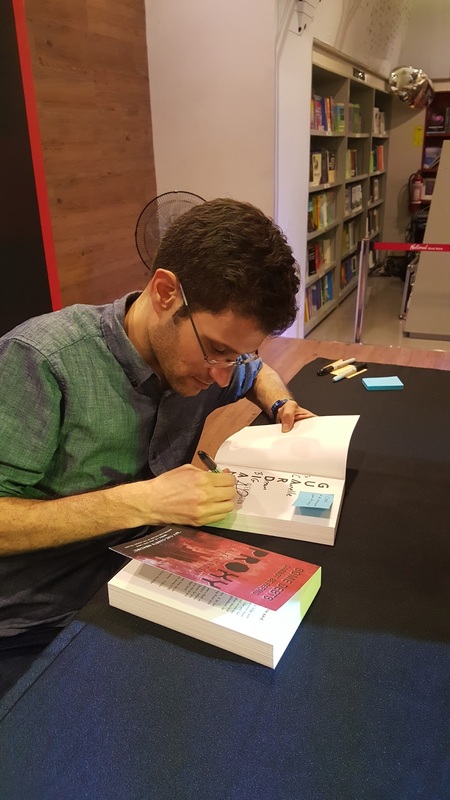 He wrote lots of books already, that includes The Wild Ones, Dog Tags and Tides of War series also the Accidental Adventures. I am glad that I am part of this event and finally met him. 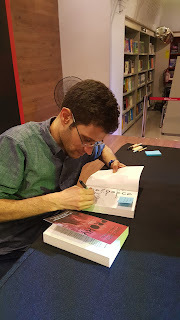 I got my book signed too! I already have Proxy signed way back 2014 and now that he's back I've got Guardian. 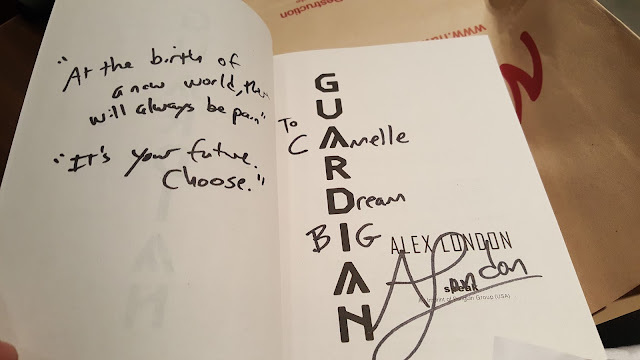 Alex is such an amazing author that inspires people. I am lucky to be able to record his interview in the event, and because of that I will share it to you all.